Isn't it great when a tool works the way it should? Vacuum cleaners are no different. Although there are so many companies out there that hype their machines as the "perfect" vacuum cleaner, in reality the only "perfect" vacuum is the one that fits your needs and budget. With a much larger selection of vacuums than any department store, we can help you to either find your "perfect" vacuum cleaner, or maintain the one that you already have. Why Schiller's? Everyone's floorcare needs are different. 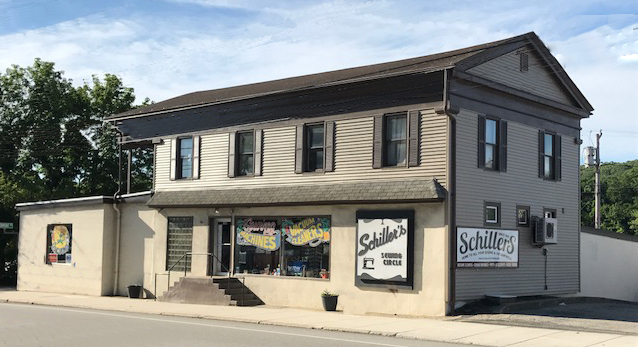 Since 1951 Schiller's has helped countless customers find the vacuum or other floorcare product that perfectly fit their needs and budget. And once you have that perfect cleaner, we are here to help support and maintain it. Wtih the largest selection of vacuums and other floorcare products in the region we are truely you one stop location for all of your floorcare needs. A Canister Vacuum with A LIFETIME Warranty!!! I know that it is hard to believe but the newly introduced Vapamore MR-500 Vento Canister Vacuum with Power Nozzle actually has a LIFETIME warranty on its main motor, power nozzle motor and electronics. Besides being a really great performing vacuum cleaner, no other company has every done a warranty like they have. Now for the even better news. The price of this vacuum cleaner is only $299!!! And this is not some stripped down model. That price include the canister vacuum with its power nozzle, a seperate set of wands for the bare floor tool and even a full package of HEPA bags. No matter what your needs, this is a great vacuum cleaner! Why don't you sell bagless vacuums? In short...because we think that vacuum cleaners that use bags last longer, cost you less in the long run, are cleaner, easier to use, and probably a whole bunch of other factors. If you think about it, why would any vacuum cleaner company make a vacuum cleaner that was purported to make them less money. The answer...they don't! Although bagless vacuums (no matter what the brand) look easier, and as if they would cost you less (sure, no bags) in the end they tend to have higher operating costs (filters are much more expensive than bags) and definitely do not last as long (the amount of abrasive dirt that does through the machine is dramatically more). If you look at most of the major "high-end" vacuum companies NONE of them manufacture a bagless vacuum. What is better...a canister or upright vacuum? The answer to this is the same as trying to answer the question "What is better a hammer or a screwdriver". it really depends upon what you are trying to clean. 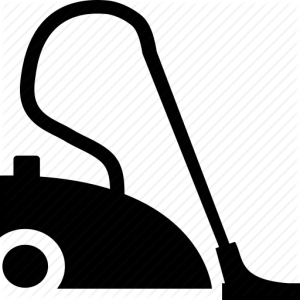 Upright vacuums are the best at cleaning any type of carpeted surface. The agitation provided by the rotating brush lifts embedded dirt out of the rug's nap and allows the air flow of the vacuum to carry it away. A suction-only canister is optimal for cleaning a hard surface (think of a broom with suction). It can clean a rug but you are having to use an attachment. A canister with a motorized power nozzle is sort of the hybrid vacuum that can clean both rugs and floors. They typically cost more than just a basic canister vacuum due to the cost of the additional accessories (electric hose, electric wands, power nozzle). We carry over 100 different vacuums on our display floor because we all have different cleaning needs. We are here to help you figure out what the best vacuum cleaner is for YOU. What kind of vacuum bags do you sell? If your vacuum cleaner uses a bag we likely carry the bag you need. Unless we happen to have sold (or repaired) the vacuum you own, we may not know what vacuum you have. If you don't know what style of vacuum cleaner bag you use, try to get the make and model of your vacuum cleaner. We should be able to figure out what you need. Why should I use original versus after market vacuum bags? We all want to try and get the best product we can for the least amount of money. With vacuum bags the quality and filtration of the vacuum bags produced by the original manufacturer are dramatically higher than many of the aftermarket bags. One of the most differences is between original and after market Miele bags. Independent testing has shown that the aftermarket bags release over 1000 times more fine (allergen) particulates than the factory original bags. If you are purchasing a machine that is renowned for its filtration, why defeat it by purchasing non-original bags?